WASHINGTON (AP) - The gunman who killed 12 people in last year's rampage at Washington's Navy Yard convinced Veterans Affairs doctors before the shootings that he had no mental health issues despite disturbing problems and encounters with police during the same period, according to a review by The Associated Press of his confidential medical files. Congress and the Pentagon are investigating the shootings, including whether faulty security clearance procedures allowed him to get and maintain his job. Some lawmakers have said Alexis fell through the cracks at the VA and should have been treated by mental health professionals, but they have stopped short of specifying what government doctors should have done differently. In a bizarre incident in Newport, R.I., Alexis told police on Aug. 7 that disembodied voices were harassing him at his hotel using a microwave machine to prevent him from sleeping. After police reported the incident to the Navy, his employer, a defense contracting company, pulled his access to classified material for two days after his mental health problems became evident but restored it quickly and never told Navy officials it had done so. The medical records said Alexis, 34, was found sleeping in the VA waiting room in Providence on Aug. 23 while waiting to see a doctor. During that visit he was prescribed 50 milligrams of trazodone, an antidepressant and anti-anxiety medication that in such low doses can be used to treat insomnia. "Denies any pain except discomfort rt (right) temple," a nurse wrote the same day. "Pt (patient) taking no medications including any otc (over-the-counter) medications." An attending doctor provided additional details, saying Alexis suffered from fatigue after sleeping only two or three hours every night over the past three weeks. "Speech and thoughts clear and focused. Denies flashbacks. Denies recent stress. Denies drugs, cocaine, heroin, caffeine product, depression, anxiety, chest pain, sob (shortness of breath), nightmares. He denies taking nap during the day. Denies SI (suicidal ideation) or HI (homicidal ideation)," the doctor wrote. "He works in the Defense Department, no problem there," the doctor added. Sidney Matthew, a lawyer representing the family of one of the shooting victims, told the AP it's possible that Alexis was evasive with his doctors but expressed skepticism that physicians adequately questioned Alexis about why he wasn't sleeping. "There doesn't appear to be very much curiosity about what the etiology of the insomnia is," said Matthew, who represents the family of Mary Frances DeLorenzo Knight in a federal lawsuit. The lawsuit claims the VA failed to treat Alexis' mental illness. Matthew noted that Alexis aggressively confronted a family at Norfolk (Va.) International Airport on Aug. 4, just days before his encounter with police on Aug. 7 that was so bizarre that police contacted the Navy about their concerns. Alexis' family also had concerns about his mental health during the period. He said he doesn't believe Alexis could have masked his mental health problems. If doctors were perplexed about the cause of a patient's problem, there are limits as to how far they can investigate. The executive director of the National Center for Veteran Studies, Dr. Craig Bryan, said conducting an online search of a patient's life history would be time-consuming and unlikely to help. That's particularly the case for a doctor working in an emergency room setting treating a condition as common as insomnia, he said. With few exceptions, it would be illegal to contact others, such as family, friends or an employer to search for clues, Bryan said. Other experts agreed. "In an emergency setting, a patient with insomnia who does not report stressors or substance use, who denies suicidal or homicidal thoughts and who otherwise does not have urgent psychiatric or medical issues would typically be referred for further, full evaluation of the insomnia in a nonemergency setting," said Dr. William E. Narrow, acting director of quality improvement for the American Psychiatric Association. The medical records showed that Alexis answered "no" when asked, "Do you have anything that could be considered a weapon?" The VA told the AP that was a standard question it asks veterans whom it treats in a triage setting. Five days later, on Aug. 28, Alexis visited a VA medical facility in Washington, again complaining of sleeplessness: "Patient presents to ER with c/o (case of) awakening each morning about 4 a.m. like clockwork and he cannot figure out why this is happening." He answered "no" when asked whether he was having feelings of hopelessness for the present and the future. Another doctor that night described the examination as "unremarkable." The VA gave him 10 more tablets of trazodone and sent him home just before 9 p.m.
Alexis, a defense contractor and former Navy reservist, went on a deadly shooting rampage at the Navy Yard on Sept. 16, spraying bullets in a hallway and firing on workers from a balcony. He died in a gunbattle with police. He had purchased the shotgun he used from a gun shop in Virginia two days before the shooting. 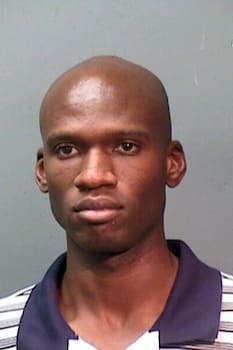 Alexis had been involved in at least two earlier shooting-related incidents, in 2004 when he was arrested in Seattle and charged with malicious mischief for shooting the tires on a construction worker's vehicle and in 2010 when he was arrested in Fort Worth, Texas, for firing a rifle into a neighbor's apartment. No charges were filed in those two cases, but it was not immediately clear whether Alexis was answering honestly on Aug. 23 when he was asked whether he still had any weapons. The FBI told the AP it found no weapons when it searched the hotel where Alexis had been staying before the Navy Yard shootings. Before the Navy Yard shootings, Alexis left behind a note that FBI agents recovered saying he had been targeted by ultra-low frequency radio waves for the previous three months - the period that covered his visits to the VA medical facilities when he denied he was experiencing any stress or violent thoughts. The AP obtained 114 pages of Alexis' medical records under the Freedom of Information Act after requesting them a few weeks after the shootings. It is unusual for the government to disclose anyone's medical files, but the Veterans Affairs Department agreed that the public interest in the mass killing outweighed Alexis' privacy rights in keeping his treatment records secret after his death. In the records the AP obtained, the government withheld the names of all the doctors and others who treated Alexis to protect their privacy. The medical records also describe Alexis' efforts to qualify for disability payments because of ringing in his ears and orthopedic problems. In February 2011, almost immediately after Alexis received an honorable discharge from the Navy Reserves, he complained about tinnitus, which he said was "annoying and can be distracting." He said it began in 2009 when he was still serving in the Navy. An audiologist in Dallas determined that his hearing in both ears was "within normal limits" and said any hearing loss or tinnitus probably didn't occur when he was serving in the military. In October 2011, Alexis filed another disability claim for what he said was a broken right foot he suffered when he fell down stairs in 2009, causing him mild to moderate pain daily. The Navy alleged in a nonjudicial punishment in July 2009 that Alexis was drunk when he leaped off stairs and suffered a broken ankle, but Alexis appealed the disciplinary action and it was removed from his record six months later because there was insufficient evidence he had been intoxicated. Alexis also complained to the VA about a spine problem and conditions with his knee and shoulder. An examiner concluded that Alexis had a degenerative disc in his back and less movement than normal in his shoulder and knee. The government granted him a 20 percent disability rating for orthopedic issues in December 2011. He was awarded an additional 10 percent for tinnitus and received $395 in monthly benefits retroactive to his leaving the Navy.